During a Twitch stream hosted from Gamescom, Bungie revealed that private matches will be coming to Destiny with the Rise of Iron expansion. Private matches, a most fervently requested feature within the Destiny community, will allow players to set up their own custom PvP games online. Every Crucible game mode will be available as a custom game option, including modes like Control, Clash, Rumble, Skirmish, Salvage, and Rise of Iron’s new game mode Supremacy. Additionally, every Crucible map in Destiny will be available for private matches, including the three new maps coming with Rise of Iron: Last Exit, Skyline, and Floating Gardens. Other game options will also be available for adjusting in private matches. 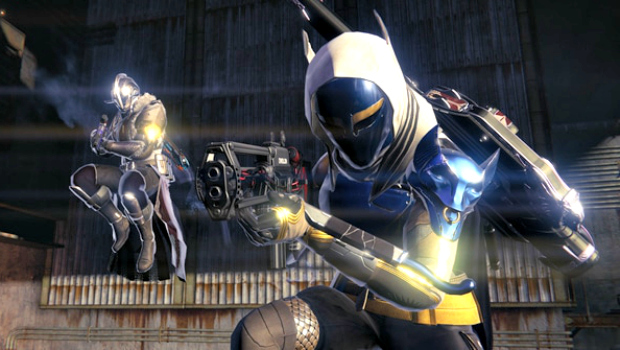 Light Level may be toggled on and off, effectively allowing the use of otherwise obsolete Year 1 weapons and armor. Additionally, map-specific vehicles may be toggled on or off, and time of day can be adjusted for outdoor maps. Supremacy is a new 6v6 game mode wherein players accumulate points by collecting “crests,” which are dropped by defeated players; a game mode not dissimilar to Call of Duty’s Kill Confirmed mode or Halo: Reach’s Headhunter mode (for those who remember Bungie’s swan song to the Halo series). Players who pick up a fallen teammate’s crests, however, may deprive the opposing team of those points. During their Gamescom Twitch stream, Bungie also showed off the three new maps coming with Rise of Iron: Last Exit, a close-quarters map on Venus; Skyline, a large symmetrical map on Mars; and Floating Gardens, an open map on Venus. Destiny: Rise of Iron launches on September 20 and can be pre-ordered on its own or with the entire Destiny collection. For more on the upcoming expansion, check out our Rise of Iron preview.